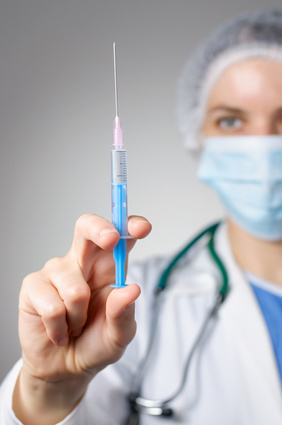 Have any of you tried trigger injections or epidurals? On Thursday, I had some epidurals in my back. This is the second time I have gotten them. The epidurals are not for Fibromyalgia, but for another, structural condition I have in my back, which causes pain and numbness. I was wondering how you and your body react when steroids, or anything else, are injected into your body. The first time, it was very painful and remained swollen and painful for a little more than a week. This time, the doctor changed the steroid and sedative mix. I have had little of the pain and swelling, but more feeling exhausted, weak, and out of it. Tomorrow it will be one week, and I am much more clear minded and less exhausted today, but I was wondering if that is a “normal” occurrence in someone with Fibromyalgia. The people I know who get trigger injections and/or epidurals who do not have Fibromyalgia do not seem to need the recovery time. I know many people with Fibromyalgia get trigger injections and epidurals. What are your experiences? Sending love and light your way! I am a happily-married, 53-year-old woman living in a beautiful place with my husband and our three dogs/babies. I was diagnosed with Fibromyalgia (FMS) in 2004. While FMS affects every moment of my life, I have learned to live with it and be happy, not allowing it to destroy me. While I have FMS, it does NOT have ME! As a yoga and meditation teacher, and as a Reiki Master/Teacher, it is my passion to help people have a good, strong and healthy life and relationships. Fibromyalgia Lifeline will help me serve that passion. It is an honor to lead by example, as well as to continue to be a student on this path to freedom from the hold of FMS. Other than that, I like to knit, read, write, be outside, play with my dogs, be with family and friends, movies, some TV shows, ghosthunting, go places in our RV, travel, music, and so many other things, but mainly laugh and have a great time.